MUST University has made its online learning system extremely effective and user-friendly through the introduction of cutting-edge educational technologies into our virtual classrooms. The eBook Collection is an online library that contains hundreds of electronic textbooks. In many classes, selected readings are compiled from a variety of texts. 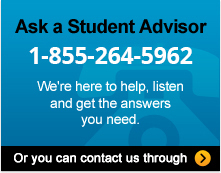 You can directly coordinate with our faculty, available on our virtual forums 24/7, and discuss with them all your issues related to course, assessment or career and find their instant solutions. Our easy-to-use virtual classrooms allow students to study whenever they want. They can access the classroom anytime and complete their degree at their own pace. We not only provide electronic books or online classrooms, but also offer our students a chance to attend lectures through web conferencing. Once you are done with your classes and feel prepared to take the exam, you can give your assessment online and move to the next course. Our faculty members hold webinars from to time covering important topics that would further enhance the skills of our students. We offer a range of tutorials and guides in writing and additional resources to help students improve their writing skills.